Utah Food Allergy Network (UFAN) is elated to announce that the University of Utah and Primary Children’s Hospital was named a new center in the FARE Food Allergy Clinical Network this week! UFAN advocated for the hospitals to be added to the newly formed clinical network last year in hopes that people in Utah and the surrounding Intermountain Region would have access to current research and emerging therapies. UFAN serves as a bridge, providing a network of communication between physicians, practitioners, agencies and the food allergy community. 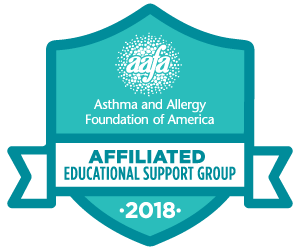 UFAN’s mission is to provide outreach to the newly diagnosed and the community at large by offering support, promoting education, building awareness of the severity of food allergies and anaphylaxis, and advocating for positive change. ← Summer Conference Agendas & Speakers – Register Today!